The hair comes with a left-hand parting. But you can part it in right side if u you need. 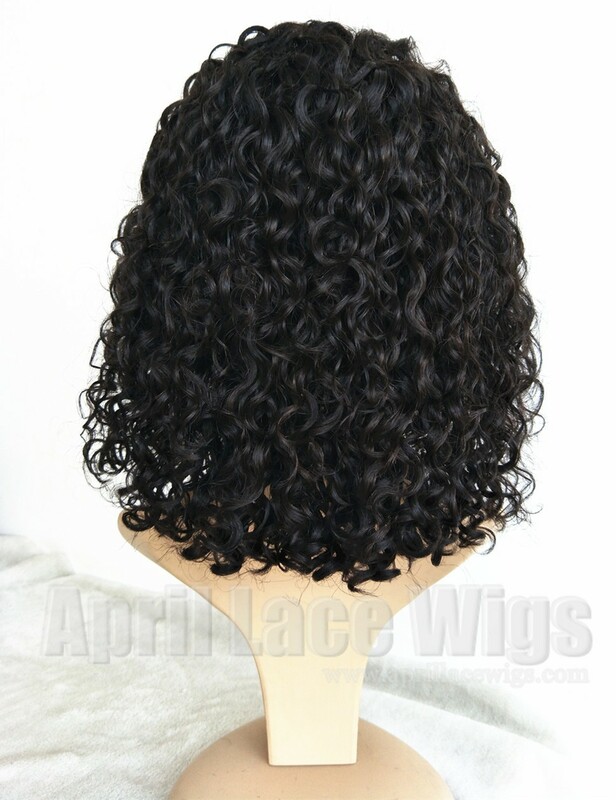 glueless cap, wefts in the top. 2018-12-07 Zara .... 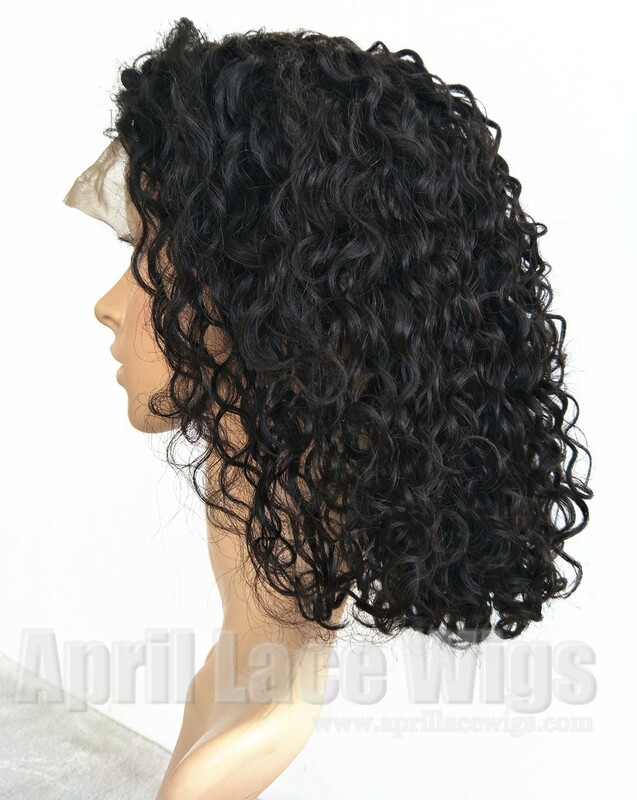 I ordered 2 wigs, one straight in 14'', one this curly wig in 12''. im definitely will order again. it arrived extremely fast ordered Sunday night & reviewed it Thursday morning!! 2018-11-12 Jonathan .... I bleached and dyed the hair and it took the bleach quite well. Even though there was a little bit of shedding but not too much. Hairs AMAZING FOR THE PRICE!!! 2018-06-27 Sonnya .... I have received my wig and I love it! Thank you for your quick response; ensuring me that it was on its way. May I ask, do you have the same style wig but with either 14 or 16 inches? if so, pls send me a link and I will purchase it. 2018-05-20 Nikki .... This wig is beautiful. I had an issue with the order initially but they remade the unit with no issue. I will see how it straightens but for now am wearing it curly. I will probably color it later this year. I have been purchasing wigs from ALW for over 5 years now. This is my 12th unit from them. In that amount of time, I can only say I've only had one bad wig and that was 2 1/2 years ago. They are still my best wig vendor ever. 2018-04-12 Shanika .... This wig is gorgeous. I get compliments everywhere I go! 2018-04-03 Anina .... This is a beautiful wig!! .. This wig is on my list!! I'm in love with ALW!